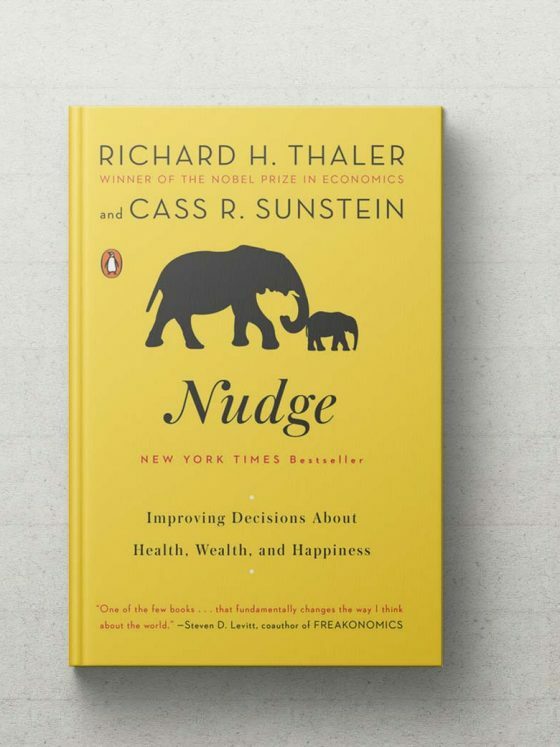 It’s been 10 yrs since the best seller “Nudge” hit the market. Richard Thaler, the Chicago economist and co-author of the book was awarded the Nobel Prize of economics for his pioneering work in behavioral economics (popularized in the “Nudge” book). I find it remarkable that there has been only one Fintech PFM app called “Nudge” after such growth in this fintech subsector (and even that one has changed its name). I find it even more remarkable that the oxymoron term “Libertarian Paternalism” coined by the Thaler & Sunstein isn’t used in the Fintech ecosystem (too political maybe). I would have expected that at least accelerators, incubators, hackathons would “Nudge” participants to design solutions that affect behaviors in consumer banking, wealth and asset mgt. and small business banking. are we not convinced that it is possible and legitimate to affect customer behavior through the implementation of “Nudges” while still allowing for customized services and in alignment with all fiduciary principles that protect personal goals? Is it true that the only tangible “Nudge-Budge” effect that Fintechs in WealthTech have managed up to now is more investing in “indexing” and more growth of the ETF sector? The robo-advisory decision-making influence has yet to prove to us that it offers a sustainable risk-adjusted outperformance. Maybe there is a more tangible “Nudge-Budge” effect from Fintechs in PFM targeting cognitive biases towards increased savings, which in turn leads to more investment and better retirement. Bottom line analytics on this front are yet available but it is the only subsector that promises to provide several “Libertarian Paternalism” case studies for the near future. Challenger banks are clearly going down that route; from the Monzo app, Tandem, to the Starling Goals app. Digital micro savings apps like Acorns, Stash, and Qapital also. Incumbent banks have also entered this space with HSBC being one of the earliest to use real-time customer analytics to increase self-awareness of spending patterns for its First Direct customers. HSBC developed internally a savings app, coined Nudge, in 2016 and then developed into SmartSave a microsavings app developed in collaboration with Fintech Pariti. Old mutual had launched a similar service with the 22Seven app. This collaboration continues but 22Seven has gone independent because they have ambitions to grow globally. Nudge-Global is another a Edutech company that has been focusing on financial education. Standalone fintechs like Oval Money, PensionBee, and WeatlhWizardsare examples that “Nudge-Budge”. Personetics technologies is one that is laser-focused on cognitive banking solutions, so a variety of “Nudge-Budge” software that aim to be the next generation Nudging apps. Nudge-budge fintech approaches in consumer banking still don’t have an impact. Culture before technology. Let us wait and see how our inertia and behavioral biases, withstand these technologies.